Entrepreneurs, regardless of their industry, must learn to succeed in sales. 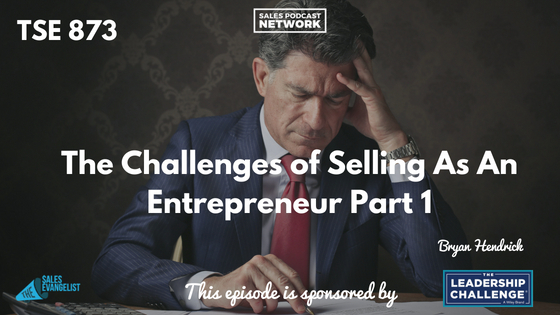 Selling as an entrepreneur is challenging because you don’t necessarily have the same resources you had when you worked for a big company. As an entrepreneur, you have to do the sales, the fulfillment, and everything in between. 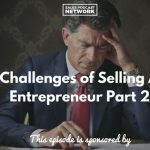 Today, Bryan Hendrick from our The Sales Evangelist Hustler’s League online group coaching program talks about how he made the transition to entrepreneurship, and the challenges he overcame during the process. Several years ago, Bryan realized that his financial future wasn’t as secure as he would have hoped, and he knew he needed to make a change. He founded Cascadian Landworks in a city he had no real contacts in and has grown his construction company to four employees. Many entrepreneurs in the construction field venture out on their own after years in the industry. The transition is a bit smoother because they have years’ worth of connections. When they branch out, they simply let their contacts know that they’re going out on their own. Bryan, on the other hand, started out in a city he didn’t know well in an industry he was relatively new to. He had a rough plan moving forward, but he didn’t have all the details worked out. Bryan owned one truck plus $9,000 to buy a dump trailer; he had no real financial buffer to get him through a few dry months. He needed to hit the ground running on day one, and he recognizes now that having his back against the wall forced him to succeed. Fortunately, he knew that tough times were part of the equation, and he kept fighting. Bryan’s only real sales experience was a job selling cameras at an electronics store, and he quickly figured out that the B2C model was exceptionally difficult in the paver business. He discovered that he knew nothing about cold calling and outbound selling. Because he didn’t have much visibility, he figured marketing was the key to success. When he shifted to a B2C sales model, he was much more successful, because general contractors were easier to locate than individual homeowners who needed pavers. He started looking for email templates that would help him know what he didn’t know. 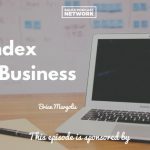 Bryan discovered blogs and podcasts that helped him shift his focus from marketing to actually selling. He learned to reach out directly through more traditional methods. Very often entrepreneurs focus on landing small deals because they are hesitant to go for the bigger ones. In Bryan’s case, landing a $200,000 job in an industry that pays after work is complete meant lining up all his resources to make sure the project was completed properly and on time. Additionally, large projects for him require sufficient manpower and significant risk: if he doesn’t get paid for a $200,000 job, he may not recover. The biggest shift for him was his mindset and learning to master his cash flow so he could scale his projects.